Die castings made out of magnesium are very lightweight, strong and corrosion resistant. Magnesium is used when weight is a factor and a light, thin product is necessary. It is a non-ferrous metal that exhibits good soundproofing, thermal conductivity and corrosion resistance. It is easily alloyed with other metals and is considered nontoxic in its pure form. 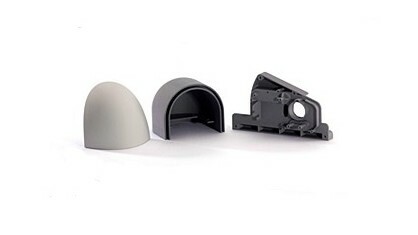 The automotive, electronics, military and aerospace industries use magnesium die cast products, including housings and interior components for computers and electronics, EMI enclosures, small parts for electronic equipment, steering wheel armatures, crash-engineered vehicle parts, power tools, loudspeakers, office electronics, laptops and cell phone hand sets. Since they are so lightweight, magnesium die castings are often used in the construction of automobiles and airplanes, lightening their weight and thus making them faster and reducing their fuel consumption. Also, electronics and computer equipment casings become very light and easily portable when constructed with magnesium. Die cast magnesium products are a silvery-white color and can be very thin, since magnesium has excellent flow characteristics. It also has 2/3 the density of aluminum, making it much more popular and cost effective. Magnesium is one of the easiest metals to machine. It has a low melting point and is hot chamber die cut, which is a continuous-flow, efficient process; it is much faster than cold chamber die casting. Molten magnesium will not erode or damage the holding pot, plunger or cylinder. It is the only lightweight metal able to undergo high pressure die casting, which produces very complex parts. The magnesium ingots (raw pellets or scraps) used in die casting are first heated to 150° C and then fed into the holding pot where they are then heated until molten. Once in liquid form, the magnesium is fed into the shot sleeve by a plunger, which comes in direct contact with the metal. Under high pressure, the magnesium is forced into the mold, coating it completely and evenly. This process can be accomplished with much more ease than it can when casting other metals because magnesium exhibits such a high flow rate. 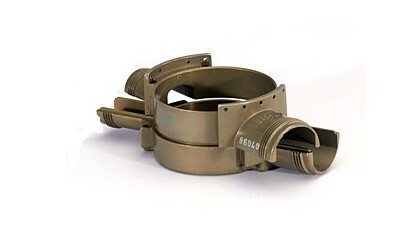 Once solidified, the newly formed part is ejected when a clamping unit releases. If any scrap metal was produced, it can easily be recycled.